We now offer the 8 herb formula of Dr. Brusch in New Gelcaps. These easy to swallow gelcaps were specifically formulated by chemists and contain the same potency as our original 8 herb formula of Dr. Brusch, President John F. Kennedy's private physician. 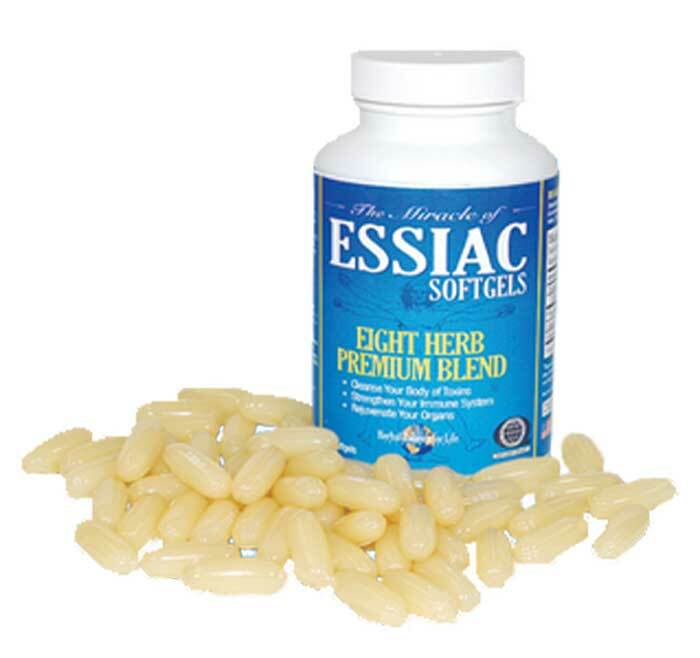 And because they are softgels, they absorb quickly into the body, unlike capsules. THIS IS THE ONLY GELCAP ON THE MARKET TODAY LIKE IT. Unlike other capsules on the market today, each softgel is equivalent in potency to 1 oz. of brewed essiac tea. Therefore, the dosage is the same; 4 softgels a day for the maintenance dose for general detox and immune building and 8 or 9 softgels a day for the aggressive dose. This is for active cancer and we recommend 6 months of treatment for optimal results. Super CONVENIENT. You can take them anywhere, anytime. Have a bottle on hand for those busy times when it may hard to get the tea made. And rest easy knowing that you are getting the same strong potency.